Riparian planting along the lower reaches of Woods Creek aims to lower stream temperatures over time as the trees grow to shade the creek. 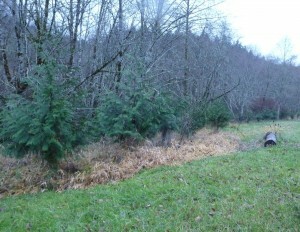 Conifers have been planted here and in the upper reaches for a future source of woody debris for the stream. Wire caging to protect the newly planted trees from beaver browse has been critical along some portions of Woods Creek, while in other places, deer browse is the bigger challenge. 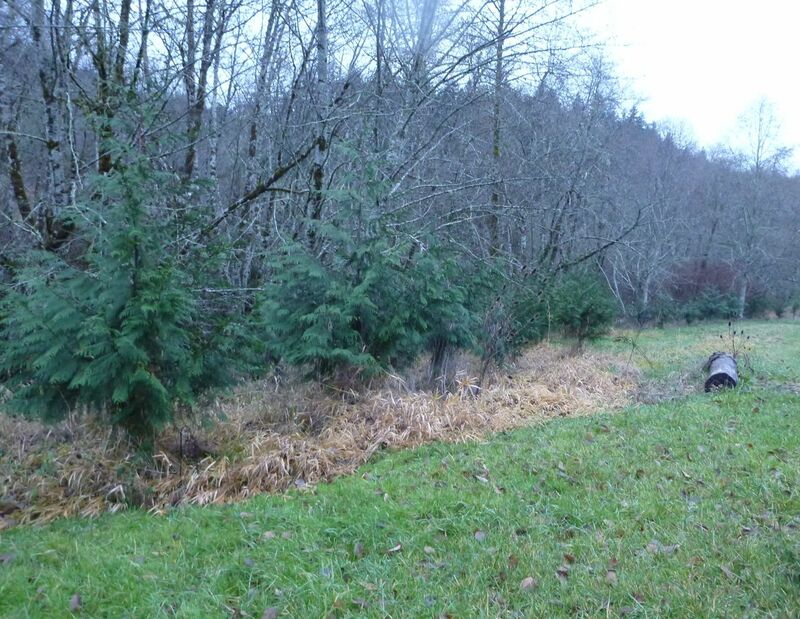 Since 2008, thirteen landowners have worked with the Council to plant native trees and shrubs on 7 acres of land along 1.25 miles of Woods Creek. Many of these trees are now over 8 feet tall and very well established. Support for this project was provided by the Oregon Watershed Enhancement Board, Freshwater Trust, Jubitz Family Foundation and Meyer Memorial Trust.